Posted December 30, 2013 by Connected Fiber & filed under Fiber Optic Testing. When was the last time you thought of fibers? Not the fibers found in food, but cables and fiber optic slicing, the kind responsible for communication via phones, internet and much, much more. Before we get into that, however, it’s time for a question: do you feel “connected” to the world and everything around you? It’s ok to admit it – the world seems like a broken place most of the time, everyone off doing their own thing, each of them plagued by miscommunication and misunderstanding. It’s easy to feel this way, but at Connected Fiber, we assure you that the world is a lot closer than you might think. This is because of fibers. Yes, fibers. They’re all around you. Imagine a world without fibers, without cables. Now that is one broken world. That is where we come in, Connected Fiber, so these fibers and cables are always functioning properly. At Connected Fiber, we service the Southeast and Mid-Atlantic regions, working closely with CATV, telephone companies, Time Warner and Verizon. If maintenance or troubleshooting is required, especially after a storm or power outage, our experienced staff will rush to the scene and make sure that all communication lines run smoothly. No problem is beyond our reach, as we are fully trained in maintenance, major repairs and large project installations. One such large project that we helped on was the Maryland ICBN or, Inter-County Broadband Network, which “was created to provide affordable, accessible high-speed broadband access to community institutions, businesses and residents throughout the State of Maryland.” As a recipient of the Broadband Technology Opportunities Program, the ICBN is a great example of an America that is determined to recover from economic fallback and invest on the local levels as well as maintaining a healthy flow of communication. The project included nine Maryland counties. Connected Fiber had the pleasure of working on five of these counties, including more than 100 schools throughout the region. 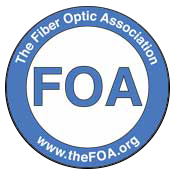 Check out this blog frequently, as we will be providing you with updates on our many projects, including facts about fibers, cables and communication!